Border Patrol officials in South Texas said illegal aliens attacked a group of agents with rocks as they attempted to provide medical assistance to a pregnant woman who illegally crossed the border from Mexico. Rio Grande Valley Sector agents observed a group of illegal immigrants climbing a tree to attempt to climb onto the Progreso Port of Entry bridge on Saturday. The agents observed two people on the bridge and a woman who appeared to be in distress at the base of the tree, according to U.S. Customs and Border Protection (CBP) officials. Agents said the woman claimed to be pregnant and was suffering from back pain. As the agents started emergency medical treatment on the woman, one of the subjects began to throw rocks from the bridge. 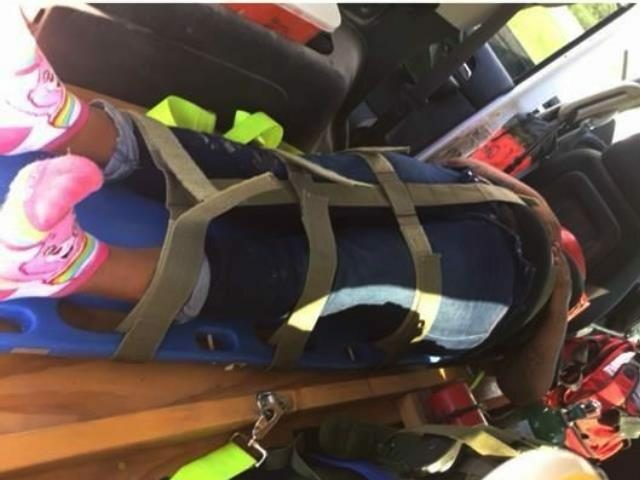 The Weslaco Station agents quickly moved the woman to a safe location and continued taking care of her until a local ambulance arrived and transported her to a hospital where she will be evaluated and treated as necessary before being turned back over to Border Patrol agents for processing. The attackers were not apprehended as they quickly fled back across the bridge into Mexico. Officials said they have experienced a 53 percent increase in the number of migrant rescues carried out by agents in the Rio Grande Sector this fiscal year. Since October 1, 2017, agents rescued 1,157 people. In part, the increase is a result of tips from the public regarding stash houses and illegal human smuggling in trucks. The sector initiated “Operation Big Rig” to curtail the number of deaths of illegal immigrants in the Sector. Despite their efforts, at least 50 illegal immigrants have died in the RGV Sector this year, according to the Missing Migrant Program. More than half of those, 33 migrants, died in Brooks County — 80 miles from the Mexican border. The deaths in the RGV sector represent more than one-third of the 142 migrant deaths along the U.S.-Mexico border this year.